The 31st Infantry Regiment ("Polar Bears") of the United States Army was formed on 13 August 1916, and was part of USAFFE's Philippine Division during World War II. The unit is rare in that it was formed and has spent most of its life on non-American soil. Polar Bears (special designation)"America's Foreign Legion" "Manila's Own Regiment" "The Thirsty First"
The regiment is the third to bear the designation; the first was formed for the War of 1812 and disbanded in 1815. The second was created from the 3rd Battalion of the 13th Infantry on 28 July 1866, in the reorganization of the U.S. Army following the American Civil War. The second organization to be called the 31st Infantry was consolidated with its sister regiment the 22nd Infantry (also formed out of the 13th) in an 1869 reorganization. Because the lineage of the previous regiments called the 31st were passed down to their successor units, the current 31st Infantry Regiment does not share their history or honors. The third organization called the 31st Infantry Regiment was formed at Fort William McKinley, Philippine Islands on 13 August 1916 using cadre from the 8th, 13th, 15th, and 27th Infantry Regiments. The 1st Battalion was formed at Regan Barracks, the 2nd at Camp McGrath, and the 3rd at Fort William McKinley. It bears the distinction of being the first organization created under expansion of the US Army under the National Defense Act of 1916. During the Russian Revolution, on 13 August 1918, the 31st moved from Manila's tropics to the bitter cold of Siberia as part of the American Expeditionary Force Siberia. Its mission was to prevent allied war material left on Vladivostok's docks from being looted. The 31st moved from Fort William McKinley to Manila, and there set sail for Vladivostok, Siberia, arriving on 21 August. The regiment was then broken into various detachments and used to guard the Trans-Siberian railway, as well as 130 km of a branch line leading to the Suchan mines. For the next 2 years, the 31st and its sister, the 27th Infantry Regiment, fought off bands of Red revolutionaries and White counter-revolutionaries that were plundering the Siberian countryside and trying to gain control of the Trans-Siberian Railroad. They also dissuaded their 40,000 Japanese allies from taking control of Russian territory. The regiment suffered its first battle casualties on 29 August 1918, in action near Ugolnaya. During the Siberian deployment, 30 soldiers of the 31st Infantry were killed and some 60 troops were wounded in action. In addition, a large number of troops lost limbs due to frostbite. During this deployment, the regiment recommended one Medal of Honor and 15 Distinguished Service Crosses. For its service in Siberia, the 31st Infantry became known as "the Polar Bear regiment", adopting a silver polar bear as its insignia. In April 1920, the regiment returned to Fort McKinley and, in December, was moved to the Post of Manila. The 31st garrisoned the old walled city of Manila until Japanese troops invaded China. On 1 February 1932, the regiment was ordered to Shanghai, China, arriving on 4 February. There, the unit guarded a section of the International Settlement, during a period of considerable fighting between Japanese and Chinese troops. Reinforcing the 4th Marine Regiment and a predominantly British International Force, the 31st Infantry deployed hastily by sea to protect Shanghai's International Settlement. Although adjacent parts of Shanghai were demolished by fierce fighting between Japanese and Chinese troops, the International Settlement remained an island of security. By April, some officers sent for their families from Manila and billeted them at a hotel in the International Settlement. On 5 July 1932, when the crisis passed, the unit returned to the Philippines. For their service in Shanghai, they received the Yangtze Service Medal (Marines). On 8 December 1941, Japanese planes attacked U.S. military installations in the Philippines. A 31st Infantry sergeant on detail at Camp John Hay became the campaign's first fatality. After landing in northern and southern Luzon, the Japanese pushed rapidly toward Manila, routing hastily formed Philippine Army units that had little training and few heavy weapons. The 31st Infantry covered the withdrawal of American and Philippine forces to the Bataan Peninsula. Unfortunately, the peninsula had not been provisioned with food and medicine and no help could come in from the outside after much of the Pacific fleet was destroyed at Pearl Harbor and mid-ocean bases at Guam and Wake Island were lost. Despite starvation, disease, no supplies, obsolete weapons, and often inoperative ammunition, the peninsula's defenders fought the Japanese to a standstill for 4 months, upsetting Japan's timetable for Asia's conquest. When MG King announced he would surrender the Bataan Defense Force on 9 April 1942, the 31st Infantry buried its colors and the cherished Shanghai Bowl to keep them out of enemy hands. Some of the 31st's survivors escaped to continue resisting, but most underwent brutal torture and humiliation on the Bataan Death March and nearly three years of captivity. Twenty-nine of the regiment's members earned the Distinguished Service Cross and one was recommended for the Medal of Honor, but the entire chain of command died in captivity before the medal recommendation could be formally submitted. Roughly half of the 1600 members of the 31st Infantry who surrendered at Bataan perished while prisoners of the Japanese. Perhaps of note, the Shanghai Bowl was later recovered due to the efforts of Cpt. Earl R. Short (who had buried it) after his release from a POW camp, and Col. Niederpreum. He returned to Corregidor Island under the orders of Major General Marshall in September 1945 to retrieve the bowl from its hidden location. While he was able to pinpoint the area, others had to continue the excavation until it was located in December 1945. The Bowl and Cups were found a yard and a half from where Cpt. Short had remembered them to be. And so the trophy and symbol of the 31st Regiment was returned to them. In January 1946, General MacArthur restored his former guard of honor to active service at Seoul, Korea, assigning the 31st to the 7th Infantry Division. For the next 2 years the 31st Infantry performed occupation duty in central Korea, facing the Soviet Army across the 38th Parallel. In 1948, the occupation of Korea ended and the regiment moved to the Japanese island of Hokkaido, occupying the land of its former tormentor. When North Korean troops invaded South Korea in the summer of 1950, the 31st Infantry was stripped to cadre strength to reinforce other units being sent to Korea. In September, the regiment was restored to full strength with replacements from the U.S. and Koreans (KATUSA) hastily drafted by their government and shipped to Japan for a few weeks training before returning to their homeland as members of American units. 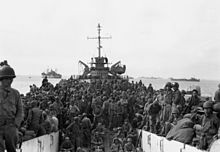 The 31st Infantry returned to Korea as part of MacArthur's Inchon invasion force. Citation: The Distinguished Service Cross is awarded to Sergeant George H. Paine, United States Army, for extraordinary heroism in action while serving with Company H, 31st Infantry Regiment, Seventh Infantry Division, on 30 November 1950, near Koto-ri, Korea. He was with the leading element of the Second Battalion moving north to link up with friendly units when the column was attacked by enemy who were entrenched and concentrated on high ground along the route of advance. Sergeant Paine located several enemy positions on a hillside form which automatic-weapons and small-arms were firing. Bravely and without regard for his own personal safety, he advanced alone against these positions, exposing himself to draw their fire from other elements of the column who were regrouping to make an attack. In his advance, he neutralized two enemy automatic weapons, permitting friendly troops to advance without casualties. Joining the attacking troops of the battalion, he assisted in driving the enemy from their positions around the hilltop. During this action Sergeant Paine was mortally wounded while fiercely resisting enemy forces counterattacking in an attempt to retain the hilltop. This counterattack was repulsed with heavy loss of enemy personnel. The courageous actions of Sergeant Paine were an inspiration to his comrades and enabled the battalion to complete its mission. HQ Eighth US Army Korea, General Orders No. 113 (4 March 1951). The 31st Infantry was far from finished. The regiment was evacuated from North Korea by sea to Pusan. There it rebuilt, retrained, and refitted and was soon back in combat, stopping the Chinese at Chechon, South Korea and participating in the counteroffensive to retake central Korea. Near the Hwachon Reservoir, two members of the regiment earned the Medal of Honor in some of the war's most determined offensive combat. By the summer of 1951, the line stabilized near the war's start point along the 38th Parallel. For the next two years, a seemingly endless series of blows were exchanged across central Korea's cold, desolate hills. Names like Old Baldy, Pork Chop Hill, Triangle Hill, and OP Dale are among the war's most famous battles, all fought by the 31st Infantry and bought with its blood. By the war's end, the 31st Infantry had suffered many times its strength in losses and 5 of its members had earned the Medal of Honor, Jack G. Hanson (7 June 1951), Ralph E. Pomeroy (20 May 1951), Edward R. Schowalter, Jr. (14 October 1952) and Benjamin F. Wilson (5 June 1951). A United Nations Unit alongside the 31 I.R. at Pork Chop Hill was the Kagnew Battalion. In Korea the Intelligence/Operations Officer was Young-Oak Kim, who was later promoted to command the 1st Battalion. After the war, the 31st Infantry Regiment remained in Korea until the Army reorganized all infantry regiments into battle groups in 1957. The 1st Battle Group 31st Infantry, representing the only regiment that had never served in the continental United States, remained in Korea with the 7th Infantry Division. In 1958, the 2d Battle Group 31st Infantry was formed at Fort Rucker, Alabama, planting the proud regiment's flag on the U.S. homeland for the first time in its history. In 1964, the 2d Battle Group was reorganized as the 5th Battalion 31st Infantry which was transferred to Ft.Benning, Georgia in 1967 and reassigned to the 197th Infantry Brigade. The 5th Battalion was inactivated at Ft.Benning in 1971. In 1959, the 3d Battle Group 31st Infantry was formed in the Army Reserve in southern California as part of the 63d Infantry Division. When the Army abandoned battle groups in favor of brigades and battalions in 1963, the 31st Infantry's 1st and 2d Battalions were reactivated in Korea, the 3d Battalion remained in the Army Reserve, and the 5th Battalion replaced the 2d Battle Group at Fort Rucker. When the war in Vietnam came, two more battalions of the 31st Infantry were formed. The 4th Battalion was formed at Fort Devens, Massachusetts in 1965 and the 6th Battalion was formed at Fort Lewis, Washington in 1967. Soldiers from the 4th Battalion, 31st Infantry Regiment at Nui Cho Mountain. The 4th Battalion went to Vietnam in the spring of 1967, operating initially in War Zone D and around Tay Ninh near the Cambodian border as a unit under the 196th Brigade(Sep). In 1967, the battalion moved north to help form the 23d "Americal" Infantry Division. Operating at Quang Ngai, Chu Lai, and the Que Son Valley for most of the rest of the war, the 4th Battalion fought to keep Viet Cong guerillas and the North Vietnamese Army from capturing the coastal lowlands. Two of the battalion's members earned the Medal of Honor almost a year apart near the bitterly contested village of Hiep Duc. When American forces departed, the 4th Battalion 31st Infantry was part of the last brigade to leave Vietnam. It was inactivated in 1971. The 6th Battalion was sent to Vietnam in the spring of 1968, arriving just in time to help recapture Saigon's suburbs during the enemy's abortive May offensive. For the next two years, the 6th Battalion fought all across the Mekong Delta and the Plain of Reeds. When the 9th Infantry Division departed in 1969, the 6th Battalion 31st Infantry formed the nucleus of a 1200-man task force under LTC Gerald Carlson (Task Force Carlson) to cover the division's departure. Remaining in Vietnam, the 6th Battalion conducted an Air Assault as part of the 3rd Brigade into the Parrot's Beak area of Cambodia in May 1970, making the famed "Seminole Raid" to seize and destroy a huge enemy base area bordering the Plain of Reeds. The battalion returned to Ft Lewis for inactivation in October 1970. In 1971, the 2d Battalion was inactivated in Korea. The 1st Battalion remained in Korea, however, serving there until its inactivation in 1987. It has still never served in the continental United States. In 1974, the 2d Battalion was reactivated at Fort Ord, CA where it remained until its inactivation in 1988. The 4th Battalion, 31st Infantry Regiment, was reactivated at Fort Sill, Oklahoma to support the Field Artillery School and the 6th Battalion was reactivated at Fort Irwin, California, serving there until its inactivation in 1988. In 1995, the 4th Battalion was inactivated at Fort Sill and reactivated as part of the 10th Mountain Division at Fort Drum, New York the following April. It is now the regiment's only battalion on the active rolls. In September and October 2001, the Polar Bears were once again called to arms to participate in the nation's War on Terror. From Maryland to Kuwait, Qatar and Uzbekistan the 31st protected American forces and facilities from terrorist attack. As America and its coalition partners struck back, the Polar Bears of C Company and 4th Battalion Commander deployed to Afghanistan, fighting in the Shah-I-Kowt Valley region and successfully eliminating it as a safe haven for international terrorism. In April 2002, the Polar Bears returned to Fort Drum, and in 2003 roughly 300 soldiers from the 4–31st deployed to Djibouti, B company to Iraq, and A Company to Camp Phoenix outside Kabul, Afghanistan in support of CJTF-HOA as TF 4–31. Company C was one of the units identified as having deployed. C Company, 4th Battalion, 31st Infantry Regiment, conducted the various training exercises during in July 2003, while in Djibouti including known distance ranges, both in Djibouti and Ethiopia; reflexive fire ranges, both in Djibouti and Ethiopia; AK-47 range for familiarization of the weapon system; familiarization ranges for shotguns and 9 mm pistols; external sling load training with Heavy Marine Helicopter Company (HMH-461) both day and night iterations to help certify them; its mortar platoon underwent training on the mortar ballistic computer and the plotting board to further their proficiency. They also conducted military to military training in Hurso and provided a security mission in the capital Addis Ababa. In March 2003, B Company, 4th Battalion, 31st Infantry Regiment deployed in support of Operation Iraqi Freedom in order to conduct base defense and combat operations for (combined joint special operations task force-AP) CJSOTF-Arabiann May 2003, C/4-31 and the battalion's Mortar Platoon deployed to the Horn of Africa to conduct operations in Djibouti and Ethiopia in support of Operation Enduring Freedom for CJTF Horn of Africa. A/4-31 and HHC/4-31 deployed to Camp Phoenix in Kabul, Afghanistan to conduct security operations for CJTF-Phoenix which was training the Afghan National Army (ANA). Select members of the battalion were also designated as trainers for the ANA. In May 2004, the Polar Bears again deployed with the 2nd BCT in support of Operation Iraqi Freedom. Upon completion of training at Kuwait, the task force assumed responsibility for conducting combat operations in the Taji, Saba al Boor, Al Rasheed, Kadhamiya, Abu Ghraib, and Yusufiyah districts of Baghdad. The most significant event for the battalion was during the first ever Iraqi national elections, when TF 4–31 provided polling centers in the Kadhamiya area with security and other force protection measures. The battalion was then called upon to secure the Abu Ghraib Internment Facility from attacks. Before redeployment the battalion conducted task force level air assaults and raids in enemy strongholds south of Baghdad. TF 4–31 returned to Fort Drum in June 2005, where they continued to train and prepare for the next call to battle. Task Force 4–31 deployed again to Iraq for 15 months, beginning 16 August 2006. The 809 member task force was their brigade's main effort and was given the daunting task of establishing the first permanent coalition force presence in the Sunni region south of Baghdad frequently referred to as the "Sunni Triangle of Death. "[by whom?] Working daily with their sister Iraqi Army battalion to re-establish the rule of law and the legitimacy of local Iraqi forces to the area, Task Force 4–31 became a model vehicle of contemporary counterinsurgency theory and practice. They established six patrol bases, 17 battle positions, assisted the Iraqi Army in the establishment of many more. They conducted over 50 air assaults and three amphibious operations, and fired nearly 400 counter-fire artillery missions against enemy forces and in support of troops in contact. TF 4–31 killed or wounded 51 insurgents and captured 148, while aiding the Iraqi Army in the capture of over 1,500 additional insurgents. While actively hunting insurgents, the soldiers of TF 4–31 set about improving the community, aiding in the improvement of schools, roads, irrigation canals, community centers, and emplacing solar power street lights. Task Force 4–31 suffered 28 soldiers killed in action. Five of those soldiers, all belonging to D/4-31, were killed on 12 May 2007 when their observation post was attacked by insurgents in a pre-dawn raid. Two additional soldiers at that position, SGT Alex Jimenez and PFC Byron Fouty, were captured during that attack and were missing until July 2008. The Polar Bears earned two Silver Stars and the battalion was awarded a Valorous Unit Award. Task Force 4–31 returned to Fort Drum in November 2007. In October 2009 TF 4–31 returned to Iraq for an 8-month deployment. 4–31 IN returned to Fort Drum at the end of June 2010 in accordance with President Obama's pledge that all combat troops would be out of Iraq by the end of August. The Shanghai Bowl has become a very important symbol of the lineage of the 31st Infantry Regiment. The large silver punch bowl and its matching cups were made in 1932 by a Shanghai silversmith, fashioned from approximately 1,600 silver US Trade Dollars that were collected from the officers of the unit. When Bataan fell to the Japanese in April 1942 it became obvious that the 31st would be forced to surrender. To keep these important items from falling into enemy hands, the bowl and cups, along with the colors and unit standard, were buried on Corregidor Island. The artifacts were finally retrieved in 1945. The bowl now sits in the headquarters building of the regiment's only remaining battalion: the 4th Battalion, 31st Infantry Regiment, at Fort Drum, New York. The 31st Inf. Reg. has 7 Medal of Honor recipients. 5 during the Korean War and 2 during the Vietnam War. The 31st Inf. Reg. also has 86 Distinguished Service Crosses. ^ Richard B. Meixsel (16 December 2002). Philippine-American Military History, 1902-1942: An Annotated Bibliography. McFarland. p. 55. ISBN 978-1-4766-0975-1. ^ "Shoulder Patches - The 31st Infantry Regiment Association". The 31st Infantry Regiment Association. Retrieved 2016-05-20. ^ "Medal of Honor - The 31st Infantry Regiment Association". ^ "Distinguished Service Cross - The 31st Infantry Regiment Association". ^ "Medal of Honor Recipients – Korean War". History.army.mil. Archived from the original on 31 December 2010. Retrieved 30 December 2010. Wikimedia Commons has media related to 31st Infantry Regiment (United States).